Sanibel & Captiva Islands were one of our FAVORITE spots on our travels. We love to explore the Beaches and enjoy the Gulf waters in Florida. These islands are on our top 10 for returning or owning a second home in the future, hope you will enjoy learning more about this amazing place! This is a perfect vacation spot , you will enjoy 15 miles of beaches, 25 miles of bike paths, many different kinds of fish, hundreds of types of birds, hundreds of types of seashells and no traffic lights. Could you ask for more? 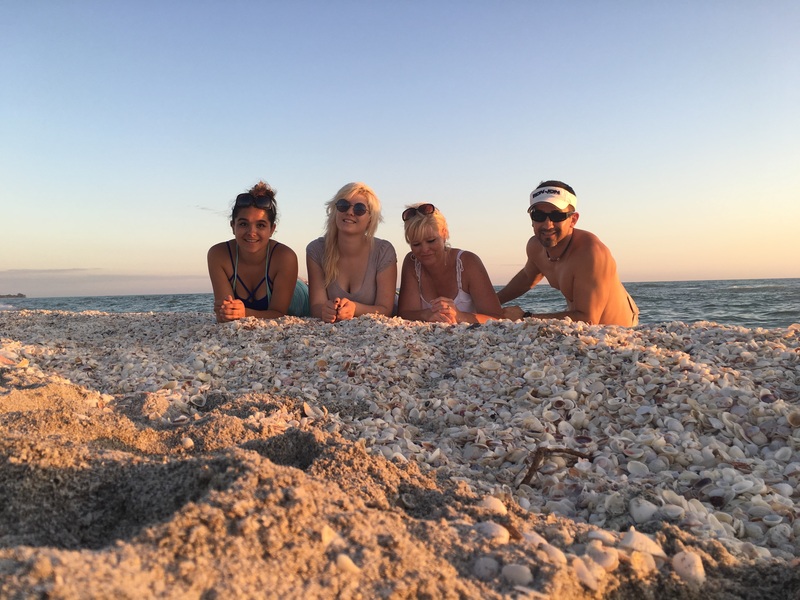 Sanibel Island – Living the Empower family lifestyle with Jamison & Rachel #6 from Jamison Haponenko on Vimeo. Sanibel Island is a barrier island – the city of Sanibel incorporates the entire island and is a popular tourist destination known for its shell beaches and wildlife refuges, more than half the island is made up of wildlife refuges. But you can also enjoy museums and theaters here as well. Sanibel and Captiva formed as one island thousands of years ago the few first human known to arrive on the island was more than 2500 years ago. The main town is located on the eastern end of the island and was formed in 1974 as a direct result of a causeway being built in 1963 to replace the ferry. What is the Wildlife like here? The island is curved like a shrimp in shape, a bridge links Sanibel Island to Captiva Island and has a museum- the only museum in the world dedicated entirely to the study of shells. The beaches are outstanding on both Sanibel and Captiva Island and are world renowned for their seashells. Sanibel is also home to huge variety of birds, birds including several pairs of bald eagles. Some common sites also include pelicans, egrets as well as common birds like sandpipers and seagulls. Sanibel Island is in southern Florida and has a subtropical and humid climate the daily average temperature ranges from 75°F to around 90°F in the summer. The temperatures are cooled by the ocean seabreeze from the Gulf of Mexico, hurricane season starts in June but most of the activity occurs in September and October. The locals have adapted to cope with these occasional storms. Thank you Rachel, for the thorough description. I could imagine myself being there on the beach and spend some weeks exploring the wildlife and the culture there. Love your pictures. Looks like a great vacation spot. Thanks for sharing. Thanks, again, for adding to our bucket list of travel destinations! Such a great post on the history and beauty of these gorgeous islands that are so dear to me personally. I have such great memories of both places, but especially Sanibel as I lived there for 2 months one summer when I was reunited with my biological father. I even ended up getting baptized in the Gulf of Mexico by the pastor and my father helped dunk me. Such an experience. We lived on an estate where I had the entire private pool and even part of a beach all to myself. It was simply breathtaking and so peaceful. I didn’t know about the bobcats. Whoa! Haha! Just loved this! Thanks so much for sharing all the unique qualities of such a heavenly place. Fascinating facts, this place sounds so interesting. Thanks for sharing! Kim if you love seashells you will LOVE Sanibel and Captiva Islands. Maggie thanks so much for your feedback, traveling full time as a family has been most amazing and Sanibel Island stole our hearts!